Hurricane Irene will be remembered for generations to come. 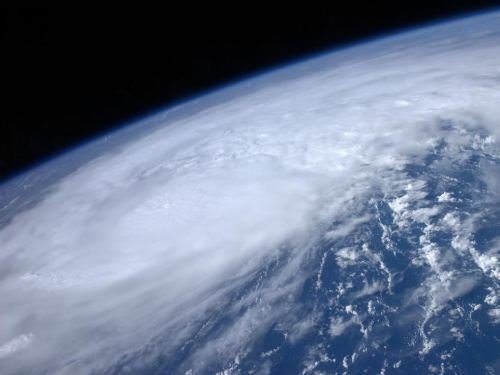 Irene will leave billions of dollars in damage up and down the East Coast, including the major cities. Tropical Storm Watches have been issued for Mercer, Bucks, Chester, and Montgomery counties. These areas will see winds of 45 mph sustained (same wind speed for a minute or more) with gusts up to 80 mph (under a minute of the same wind speed). 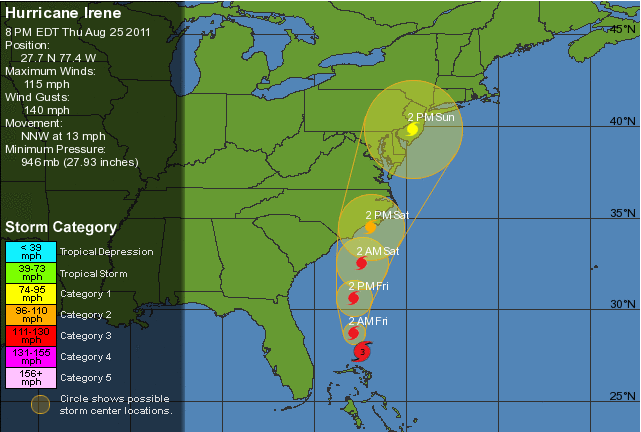 All of South Jersey and Philadelphia are under a Hurricane Watch. Expect sustained winds from 90 at the shore, to 70 in Philadelphia. Anyone who has a house down the shore or is currently staying there needs to take extra precaution. There are mandatory evacuations up and down the Jersey shore. Get out of the shore points as soon as possible. If you stay, you will be risking your life. I am almost equally concerned for the Philadelphia region. I expect close to 10 inches of rain to fall on Saturday and Sunday. This combined with the high winds and saturated ground will cause many trees to topple. Widespread power outages will last for days in some cases. I recommend going to the market tomorrow and picking up any necessary materials. Bring in any outdoor furniture, also tape any windows that face the North (the winds will be coming from the North) as debris will be coming from that direction. The rain should start as scattered showers Saturday afternoon. The rain will break Saturday night before picking up Sunday morning and afternoon. The climax of the storm will be around 5-7 PM Sunday. Things should start to die down Sunday night as the storm pulls into New York City (where evacuations are likely). Lastly, I would like to wish everyone to be safe. Our area has never seen any storm like this in recorded history. If people take this storm seriously, there will be fewer deaths and less damage.